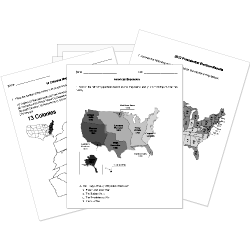 You can create printable tests and worksheets from these Grade 10 Ancient History questions! Select one or more questions using the checkboxes above each question. Then click the add selected questions to a test button before moving to another page. Which of the following Middle Eastern rulers put together the first collection of laws in history? Who was the Egyptian god of the underworld? Skilled craft workers who specialized in certain jobs were known as what? Which of the following was an achievement of the Middle Kingdom? The Egyptians drained land for farming. The Egyptians built the pyramids. Ramses II expanded Egyptian rule to Syria. The Egyptian empire reached the Euphrates. Which civilization created the first uniform system of coinage? In ancient Sparta, which activity was a defining feature of citizenship for men? Financial contribution to public-works projects. Mesopotamia was located between which 2 rivers? Jesus preached against Roman rule. Christians refused to worship Roman gods. Christians tried to overthrow Nero. its sophisticated plumbing and sewage system. the invention of the chariot. Beliefs arising in China moving one to gain knowledge, virtue & be obedient to their superiors. Who wrote the Illiad and the Odyssey? Which ancient civilization was based on a caste system? Who led Athens during its golden age? In Ancient Rome what was an aqueduct used for? Two important city-states of Ancient Greece are? The Emperor who legalized Christianity in Rome was . The Twelve Tables written in 451 BC were the first written laws in .